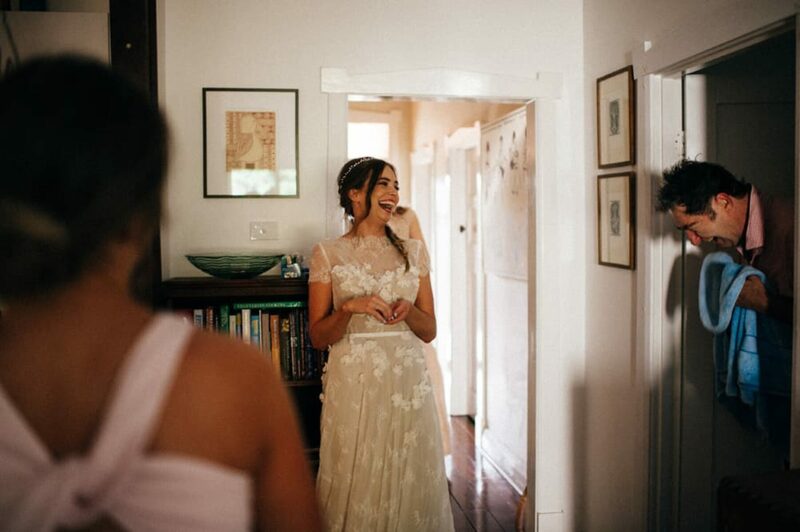 We have a sneaking suspicion that Alex knew Anna was the one from day dot. 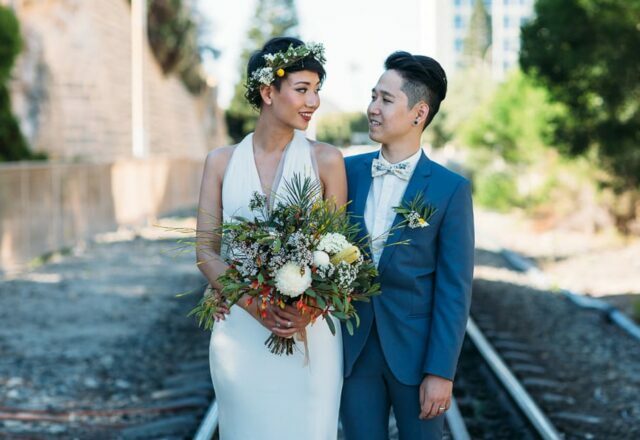 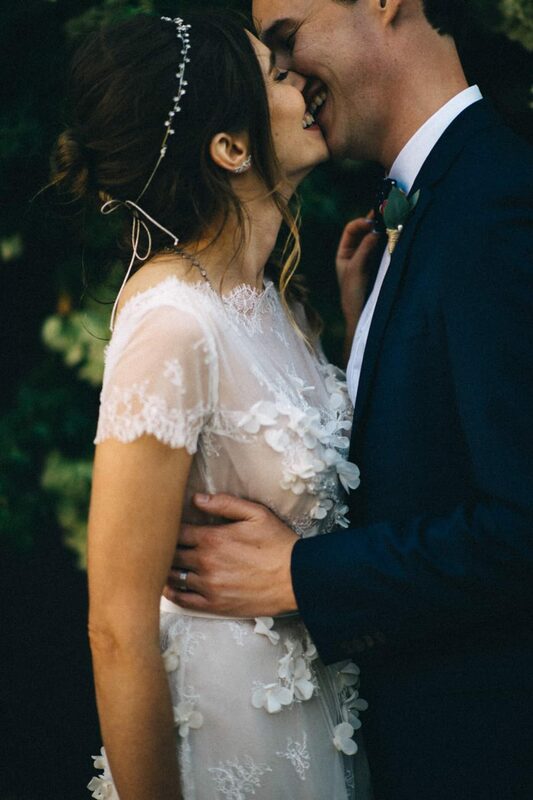 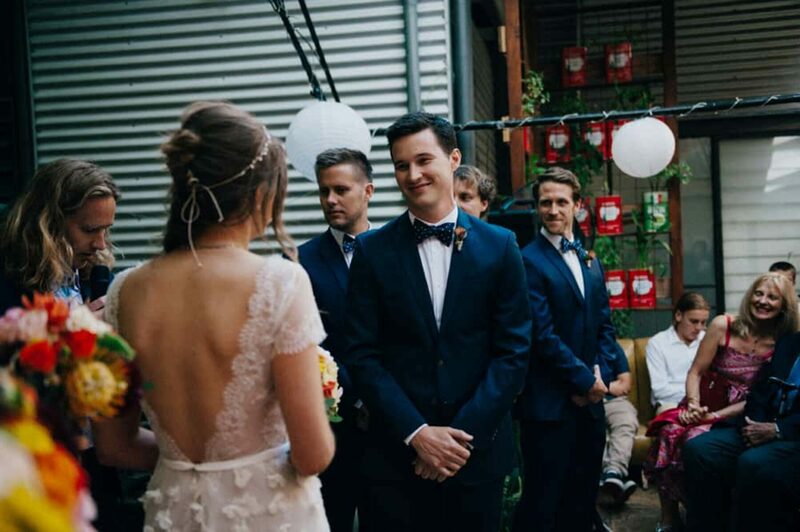 Not only did he return to the scene of their first kiss to pop the question, he secretly hung onto a rose from their first date, and some 5 years later, had it fashioned into his wedding day boutonniere! 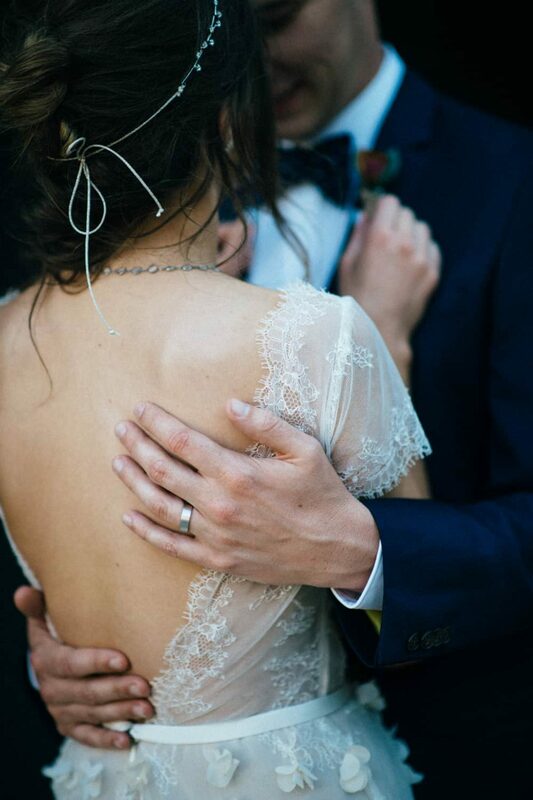 Hopeless romantic… we love him. 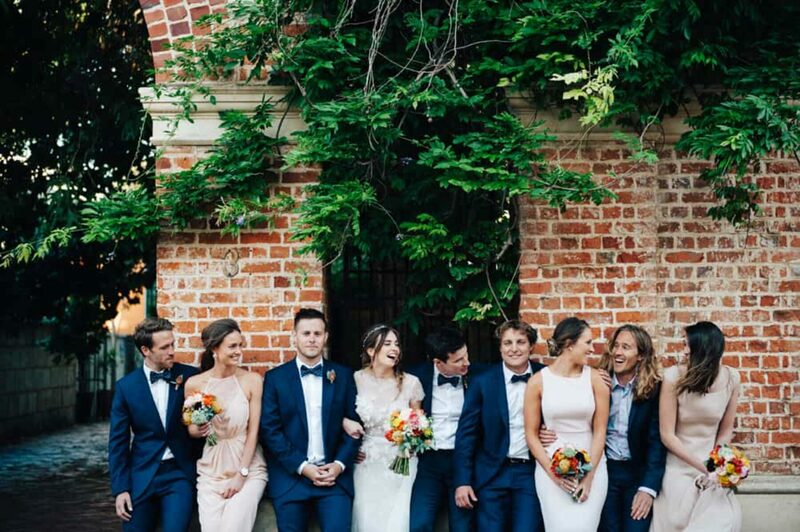 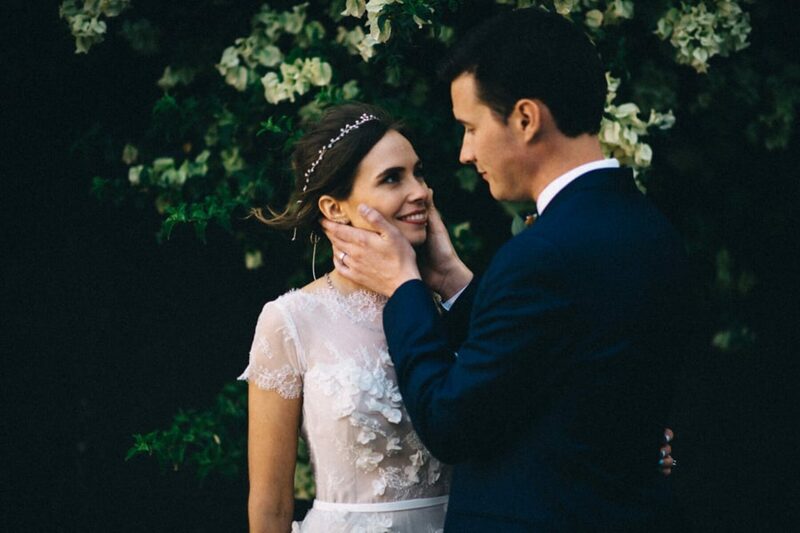 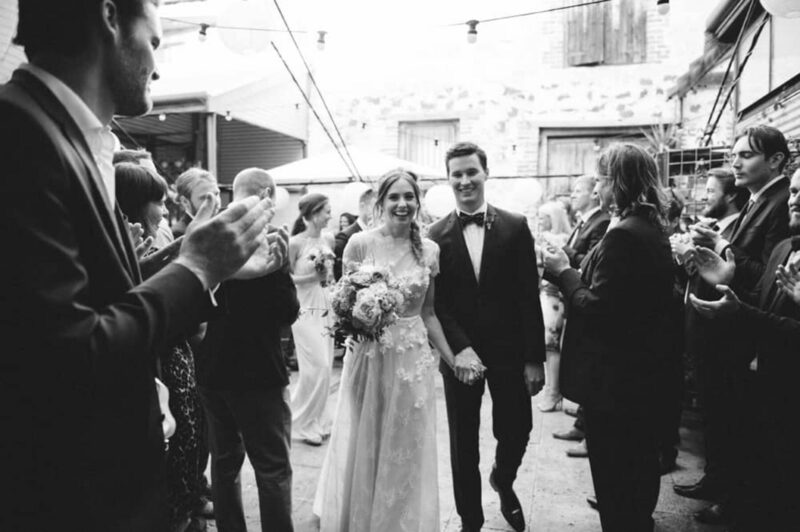 Perthites now living in Sydney, Anna and Alex planned their Fremantle wedding from afar – a feat made a darn sight easier thanks their venue choice. 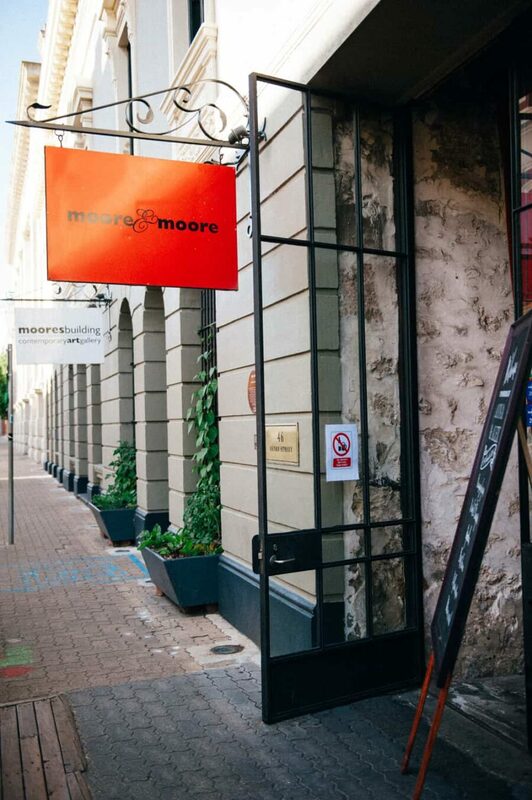 “We fell in love with Moore & Moore immediately,” Anna tells us. 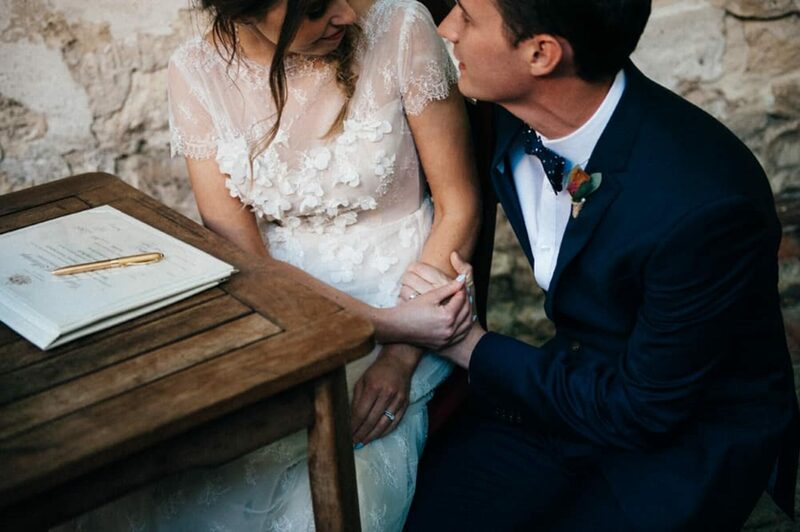 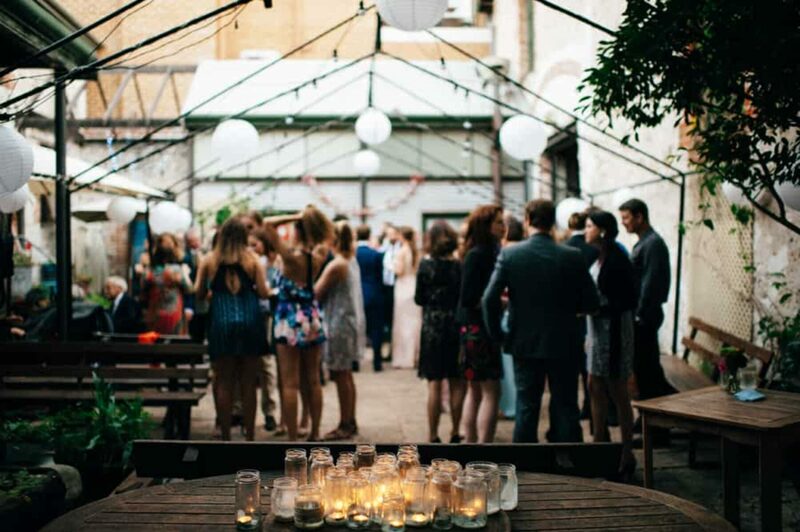 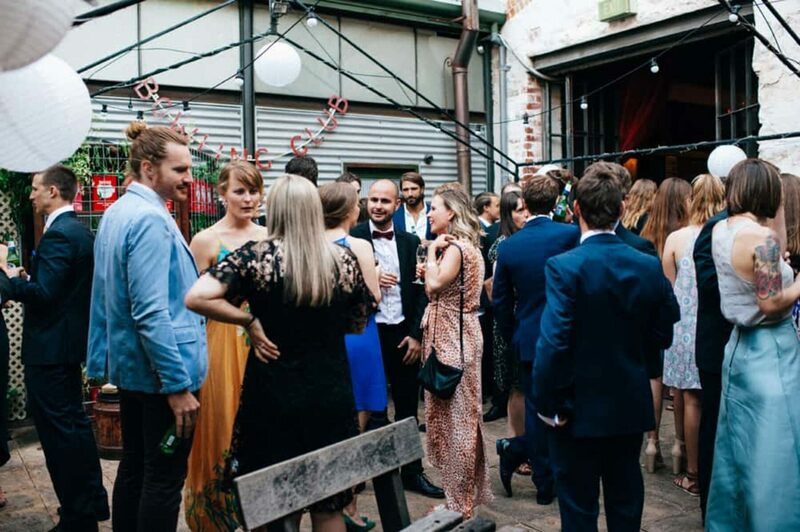 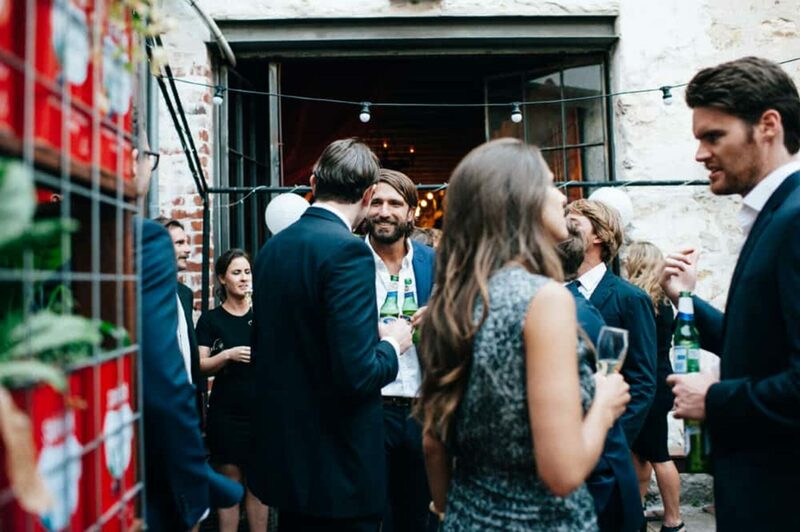 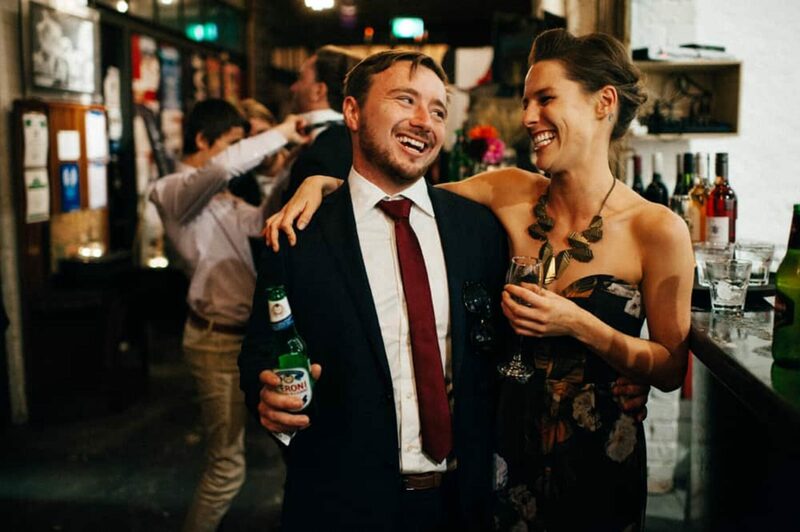 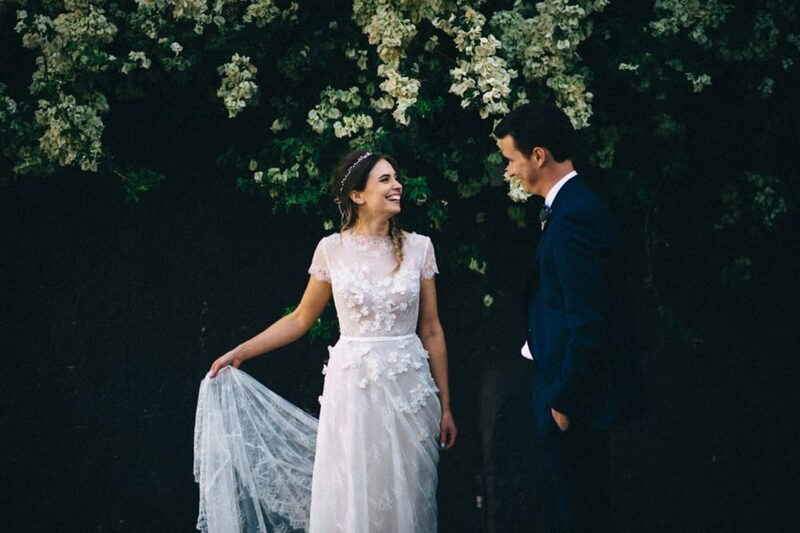 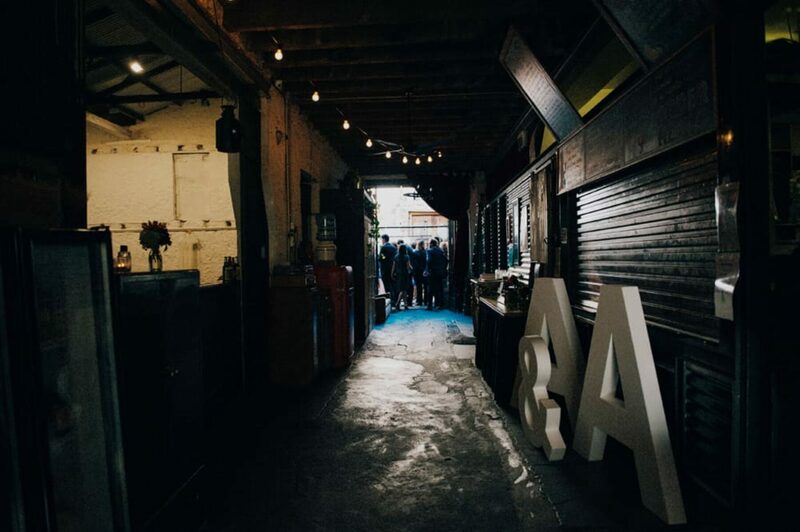 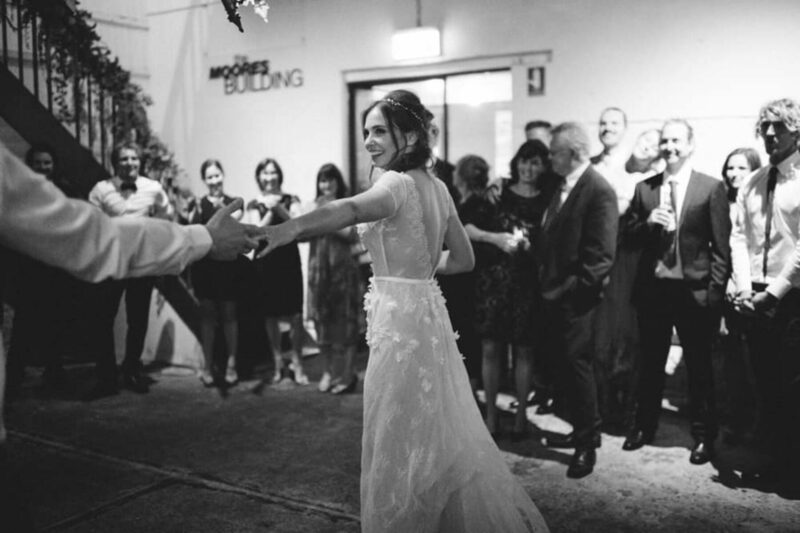 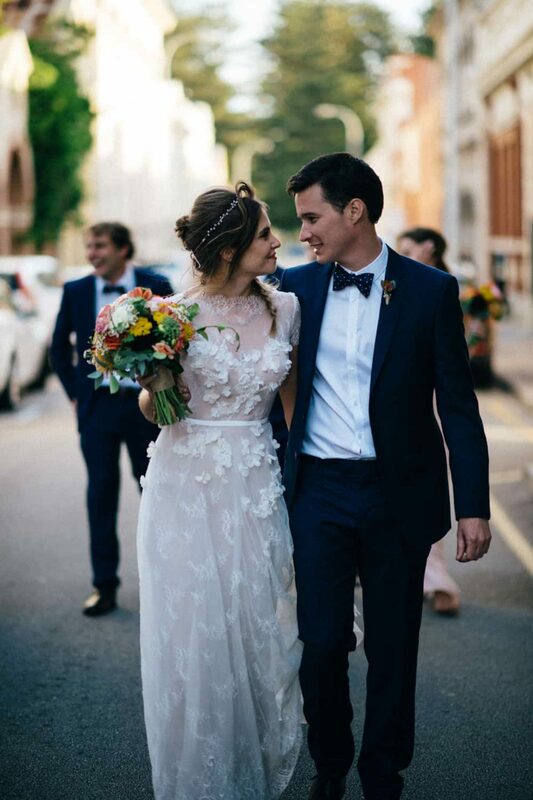 “Planning the wedding from Sydney, the level of service and support was a big part of our decision.” As it happened, the warehouse gallery/café sits on the same street that Anna’s parents first met! 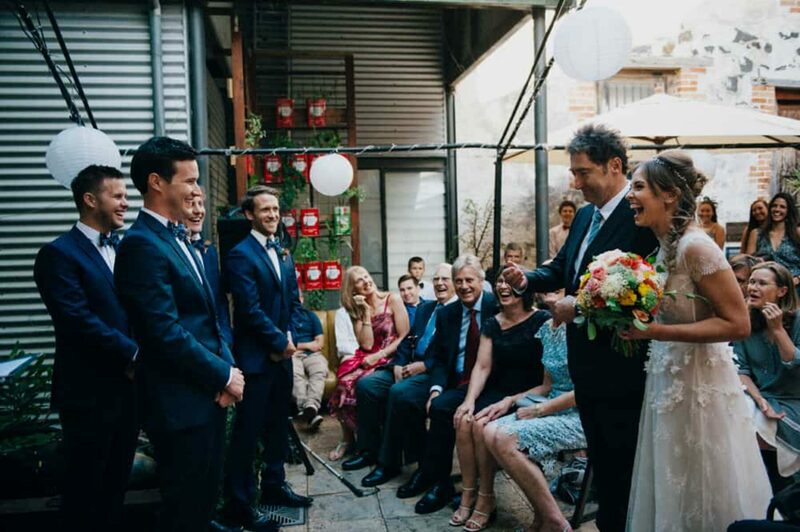 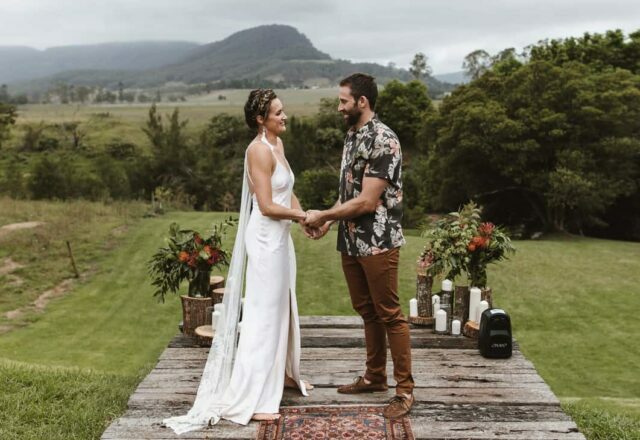 Both bride and groom played to their strengths in the lead-up – Anna (a graphic designer) designed their hand-lettered invitations and Alex (a business writer) kept on top of the budget with a carefully calculated spreadsheet. 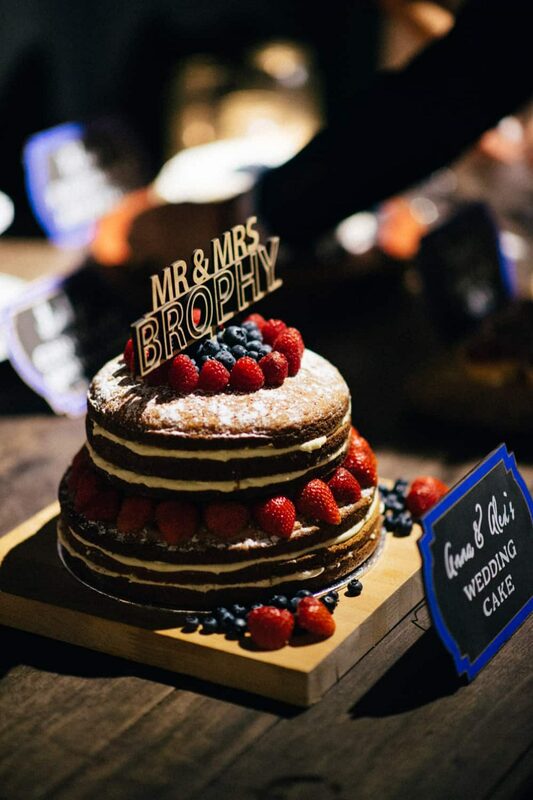 A man of many talents – he also baked their delicious Victoria sponge wedding cake! 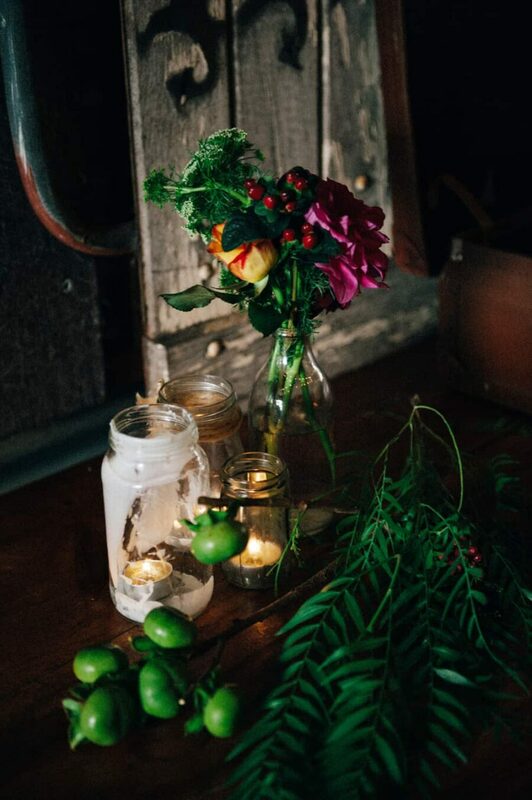 Courtney Illfield (“the best freakin’ photographer and a major babe”) was called in to capture the relaxed affair and we love those trademark moody tones. 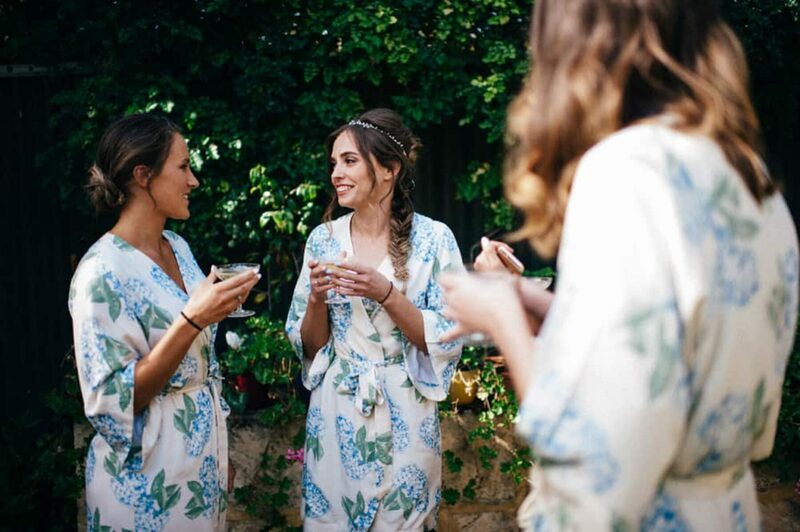 Champagne and cute hydrangea-print robes from Piyama - the perfect way for Anna and her girls to start the day! 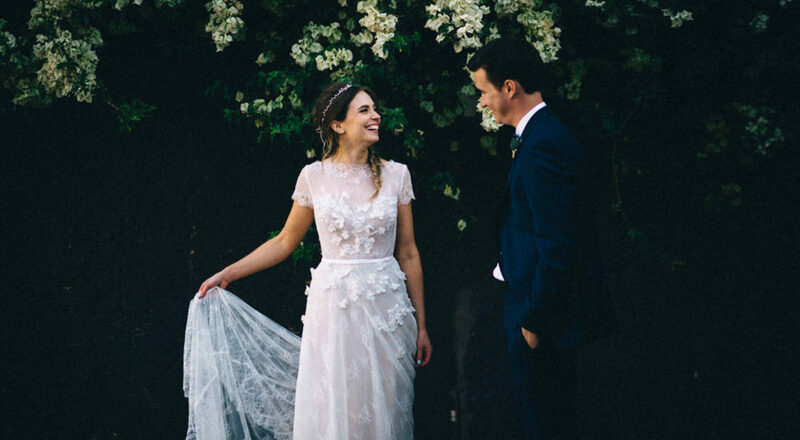 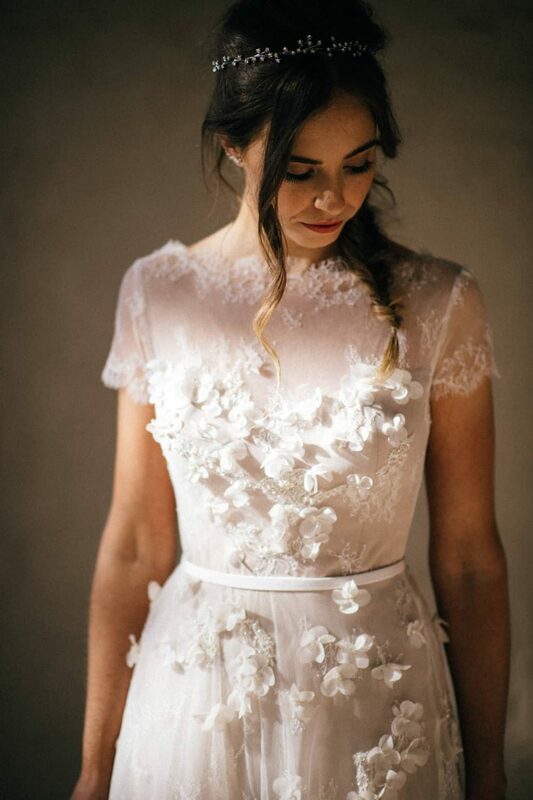 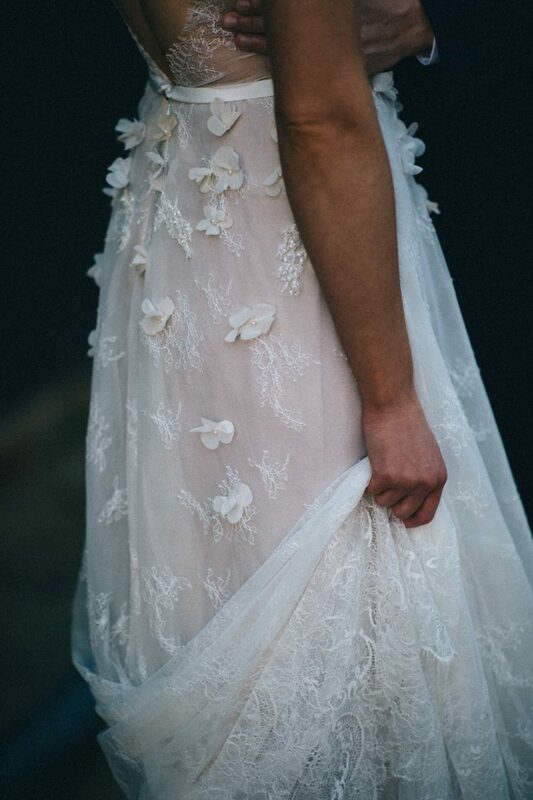 Anna found her dream dress from Corston Couture and we can't get enough of that amazing floral applique. 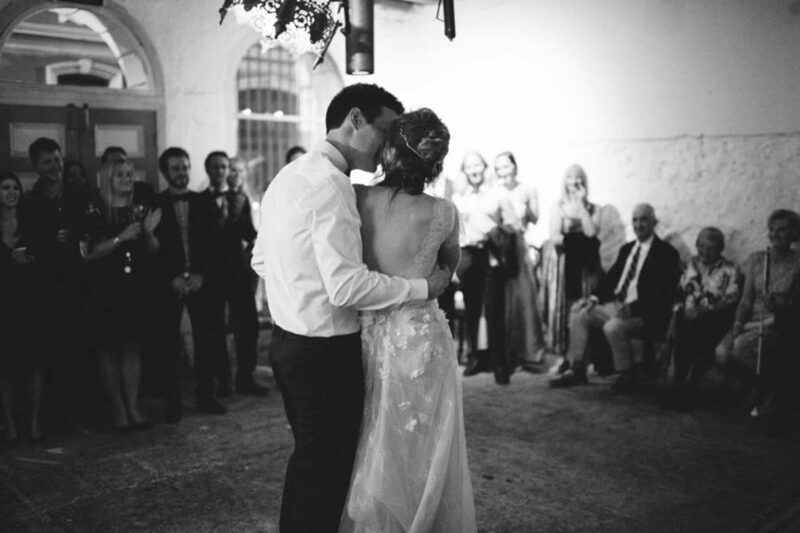 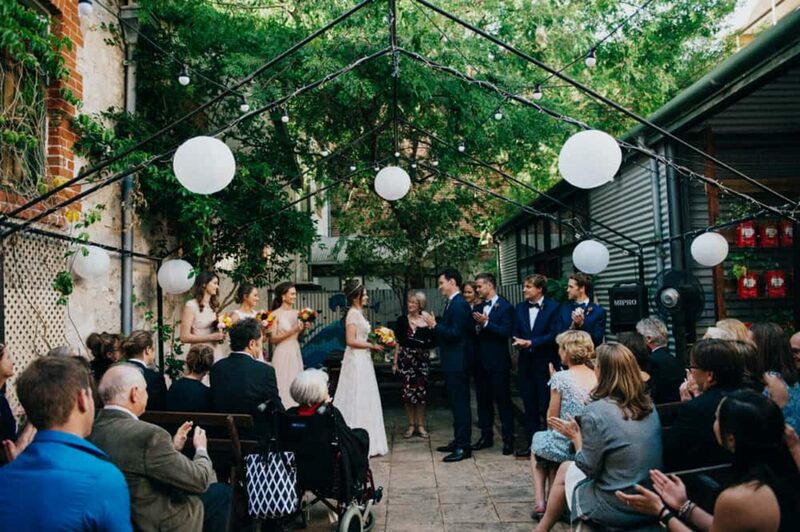 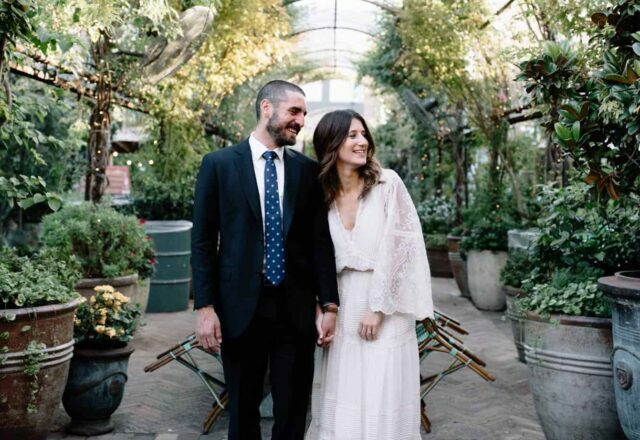 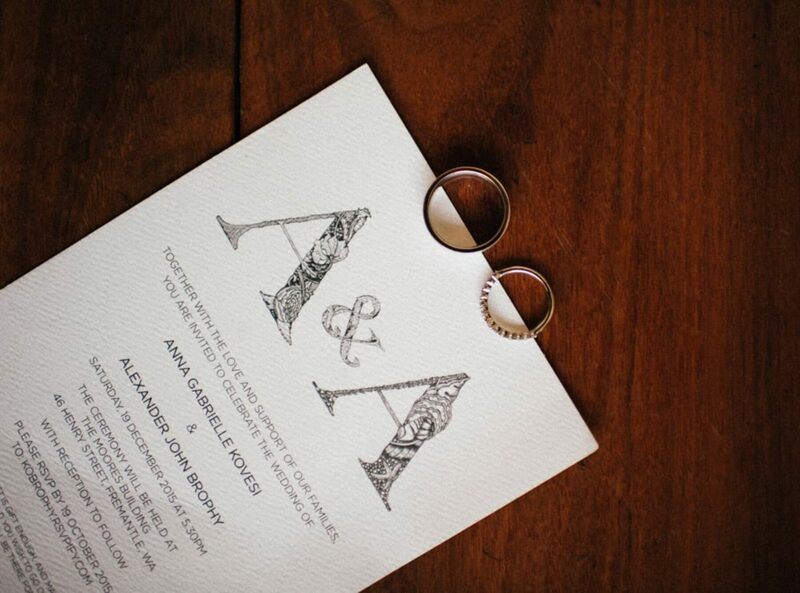 "We loved the ease of having both our ceremony and reception at Moore & Moore," Anna tells us. 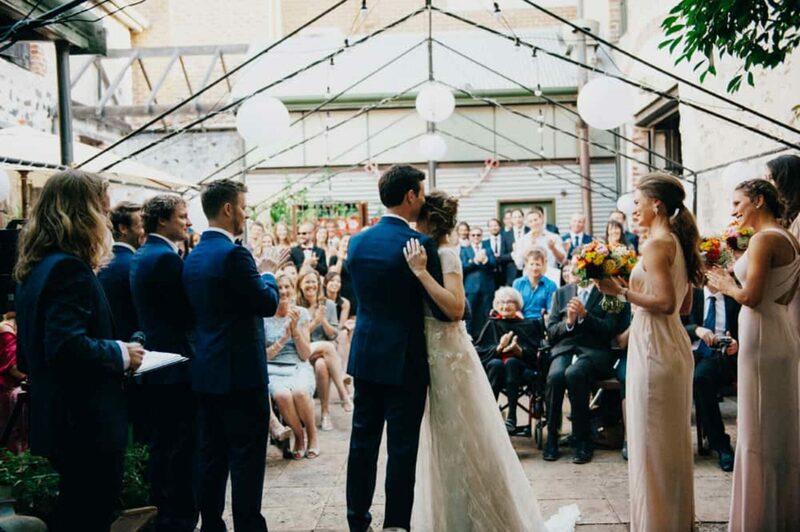 "Conducted by Dave, Alex’s brother, the ceremony was held in the courtyard. 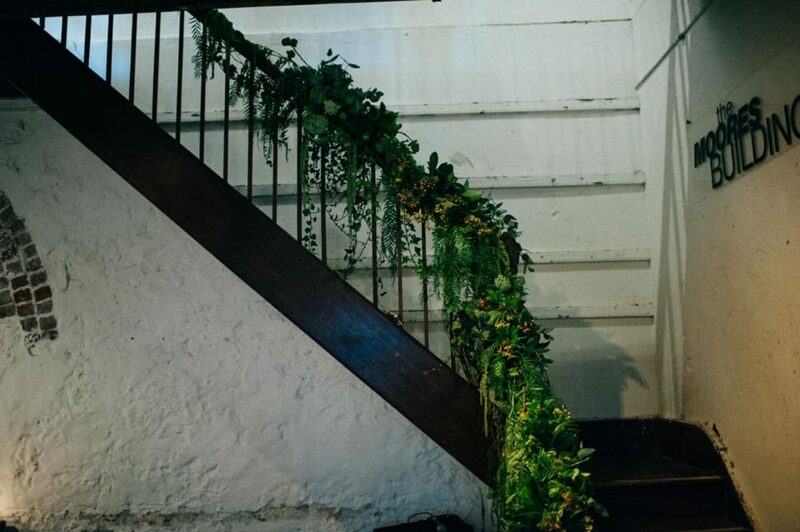 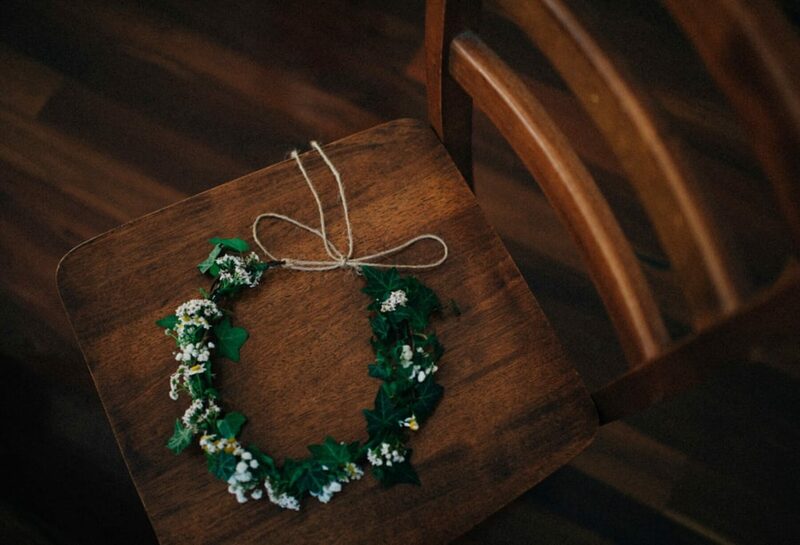 Decorations were minimal, as the venue was already pretty special." 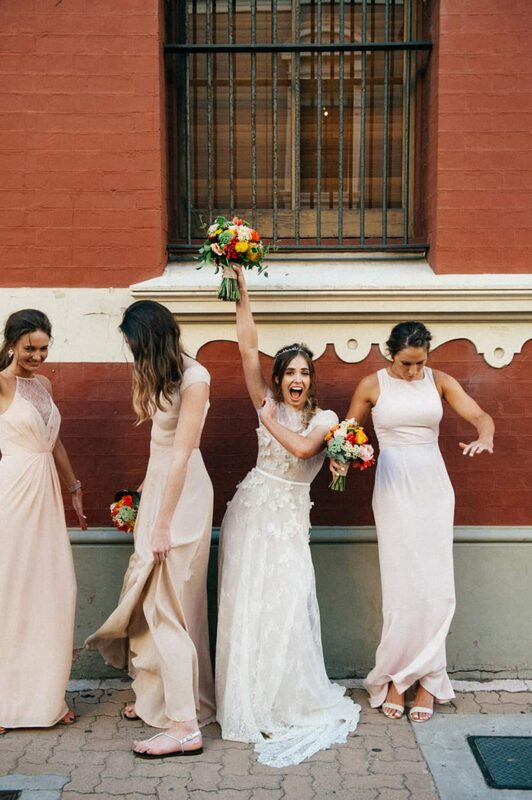 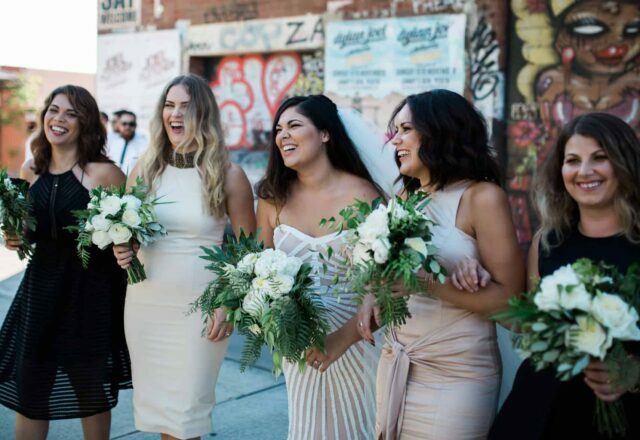 Anna's bridesmaids chose their own dresses in muted blush tones from ASOS, Zimmermann and Reformation. 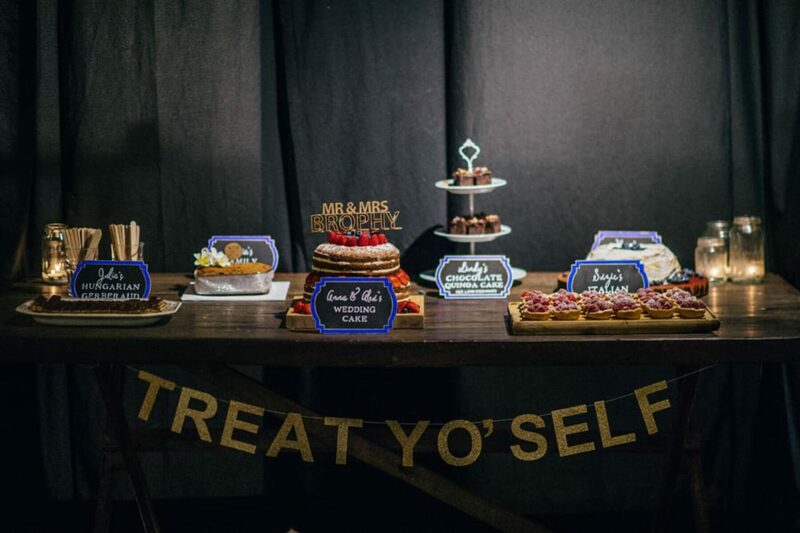 This impressive dessert table was a joint family effort, with the cream sponge wedding cake made by the groom himself!